Start living your life in balance with Sync, get yours today! SYNC by Trévo is a homeostasis-centric product that combines an organically grown, pesticide-free, high quality hemp. 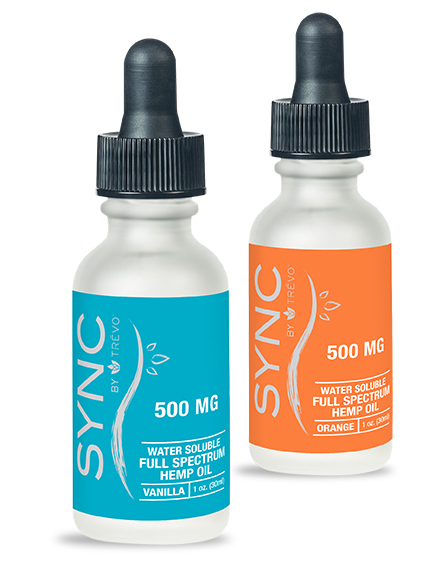 SYNC is infused with your choice of delicious, all-natural vanilla or orange flavor to create a unique cannabinoid-rich hemp oil. This next-generation, full-spectrum hemp oil is absorbed rapidly by the body to create a naturally balanced life and vigorous well-being. From pain relief to reducing anxiety, cannabinoids can help with a myriad of problems or suffering in a completely and natural way. What is full spectrum hemp oil anyway? Full spectrum hemp oil is becoming known as a powerful nutritional supplement with astounding health benefits as well as the ability to promote an empowering sense of calm, balance and well-being. Like its chemical cousin THC, cannabidiol has been shown to have the potential for medicinal value and benefit. However, unlike THC, cannabidiol is non-psychoactive. 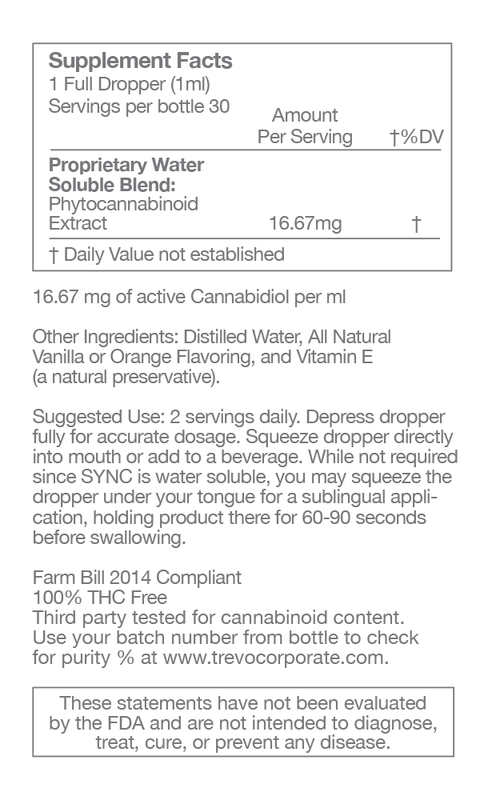 SYNC’s cannabidiol is completely separated and isolated from THC and cannot get you “high.” It is federally legal when sourced from agricultural hemp plants, such as those used in the production of SYNC. SYNC is unique in that its manufacturer also grows the hemp crops used for SYNC, so there is never any doubt about quality or purity. These crops are grown and processed all in one controlled Farm Bill Compliant facility utilizing organic practices. Each crop is harvested by hand to ensure only the best hemp plants are used. Then the product is mixed carefully by hand and even bottled by hand for additional quality control. You will never have to doubt the quality or virtue of SYNC and its health benefits to the body. Ask just about anyone, and they will tell you that oil and water simply do not mix. Think again! SYNC is water soluble and micronized for an absorption rate of up to 100%. Simply put, through the use of proprietary technology, SYNC fools the body into thinking it is pure water which allows SYNC to pass through the gastrointestinal system intact for quick entry into the bloodstream. Because of this new-generation technology, you can feel the immediate calming influence of SYNC for an instant feeling of natural well-being. What does homeostasis have to do with this product? Well, the definition of homeostasis pretty well fits the name SYNC: “The tendency of the body to seek and maintain a condition of balance or equilibrium within its internal environment, even when faced with external changes.” Like your body’s ability to maintain an internal temperature around 98.6 degrees, the homeostasis affect of SYNC can create calm, ongoing balance between the physical, emotional, and mental aspects of the human body. Have you been looking for a pure, high-quality full-spectrum hemp oil that is grown in the USA? You might be surprised to learn that China, Russia, and South Korea are the world’s leading industrial hemp producers, accounting for around 70 percent of the world’s industrial hemp supply. Often, companies that do not specify the origins of their hemp are actually sourcing from such overseas sources where safety and health regulations can be quite lax. SYNC by Trévo uses only Colorado-grown hemp that is organically produced with absolutely no pesticides or fertilizers, and no foreign outsourcing. Is It Legal to Use and Sell SYNC by Trévo? Yes! SYNC is fully Farm Bill compliant. That means you can buy, sell SYNC with confidence although it is currently not available in the following states: Idaho, South Dakota, Nebraska, Kansas and West Virginia. Although cannabinoid-rich hemp oil is a completely legal product, the use of the commonly-recognized 3-letter abbreviation for Cannibidiol is currently not permitted under Federal regulations. 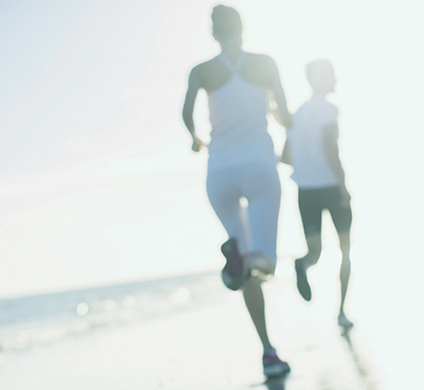 So why add SYNC to your daily health regimen? 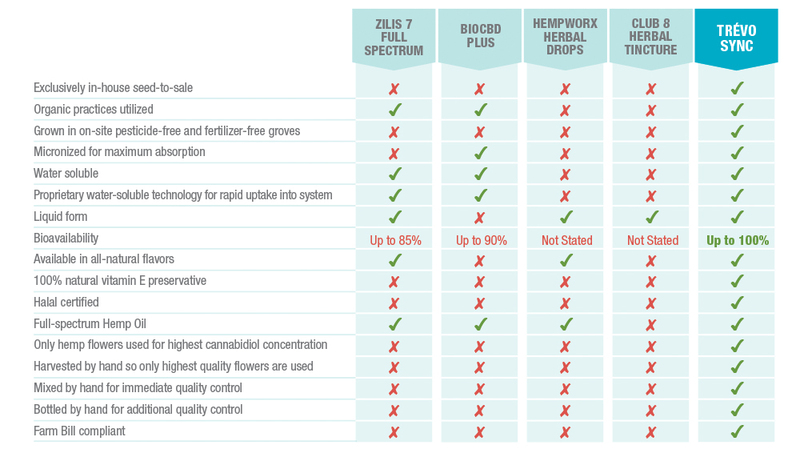 Among common benefits of full spectrum hemp oil, natural pain relief tops the list for many. Pre-clinical studies sponsored by the National Institutes of Health are looking at the role of cannabidiol in relieving symptoms caused by arthritis, chronic pain, and muscle pain. A 2012 study published in the Journal of Experimental Medicine reported that cannabidiol appeared to suppress chronic inflammatory and neuropathic pain in animals without causing analgesic tolerance. Researchers suggest that cannabidiol and other non-psychoactive components of marijuana may represent a novel class of therapeutic agents for the treatment of chronic pain.